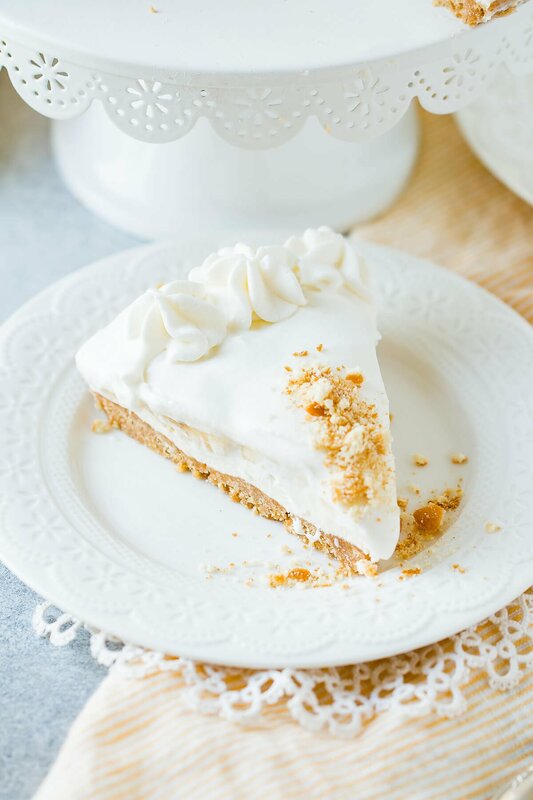 What Kind of Crust do You Use for No Bake Cheesecake? 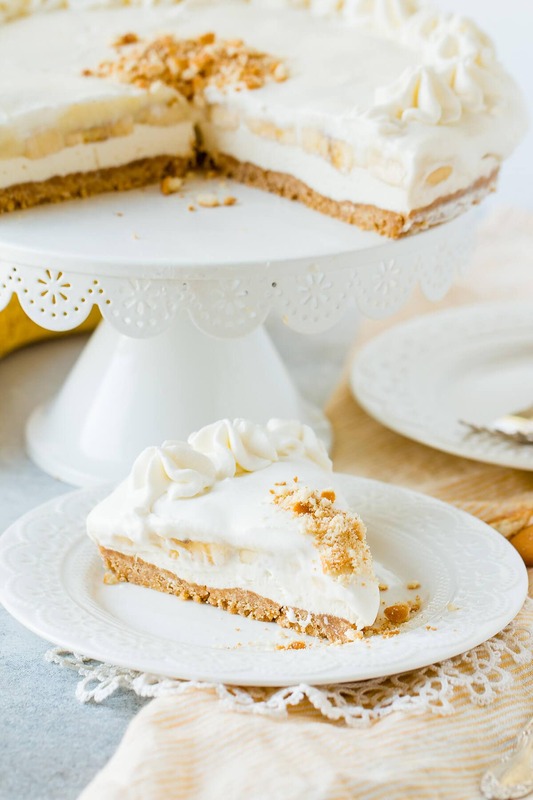 You can make a no bake cheesecake so many different ways, but this one in particular uses a simple pudding, fresh bananas and whipped cream all piled on top of the cheesecake filling and a vanilla wafer crust. I’m normally such a die hard for a graham cracker crust, but when I finally got my hands on Julianne’s No Bake Treats cookbook I just had to try her Nilla wafer crust. It looked like perfection as do all of the desserts in her book. We have so many cookbooks we’ve become rather picky about what we keep on hand. 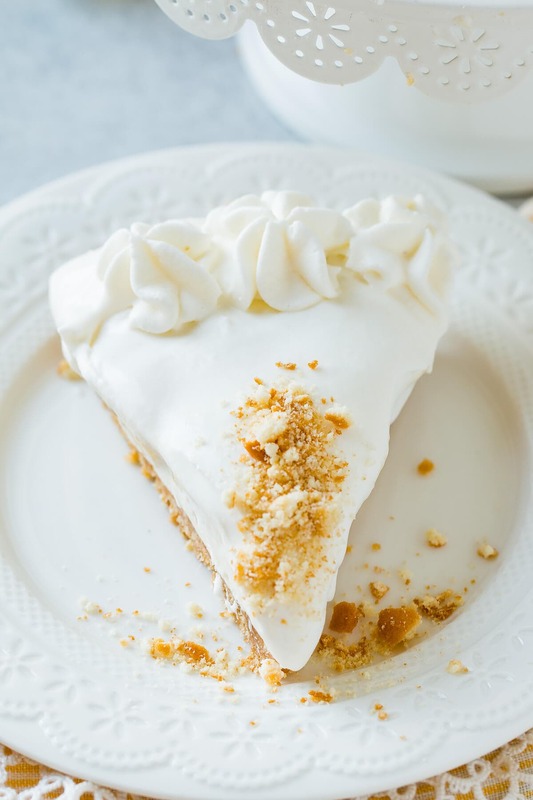 A no bake dessert book was a must as far too often we are asked to bring a treat somewhere and I want a show stopper, but without all the fuss. 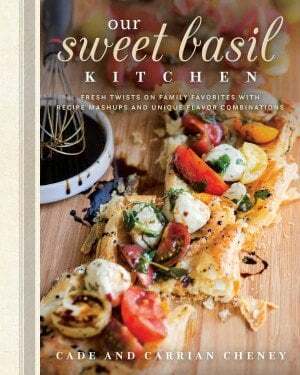 We’ve followed Julianne since the very beginning and were so excited to hear that she had a cookbook out. 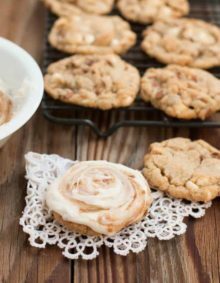 Every recipe in No Bake Treats has a big beautiful picture, easy to follow instructions and everything is something you’d normally make in real life, so not a page is wasted. We’ve made this cheesecake three times now and this is where I have to admit our failure. Every cheesecake was a total show stopper. Absolutely beautiful with perfectly defined layers and the most beautiful topping. And then we made one to photograph. It was a dream and the pictures turned out amazing. And then I deleted them. Usually I try to upload my photos on the same day I take pictures but this time we left for Italy and I didn’t have a chance. When we got back I was out of space on my card so I formatted it and the moment I did I knew I’d made a mistake. But it only gets worse. Right then and there I whipped up another cheesecake. When I spread it over the cheesecake it looked fine, though I noticed something was a little off. By the time I opened the springform I knew, I hadn’t let the pudding thicken completely. UGH!!! How Do You Remove No Bake Banana Cheese Cake From a Springform Pan? Slide the cake onto a platter. Hint: You can cut a piece of parchment paper a little larger than the bottom of the pan. Line the pan before assembling the pan and pouring the cheesecake in. The parchment paper will make it easier to remove from the base of the pan. What Can Be Used in Place of a Springform Pan? Any cake pan or pie plate will do just fine as a substitute for a springform pan. Line the pan with foil or parchment paper so that you can gently lift the cake out when it’s done. Leave a good length of foil or paper hanging out of the pan to make it easier to lift. It still turned out which says so much about the recipe and how good it is. 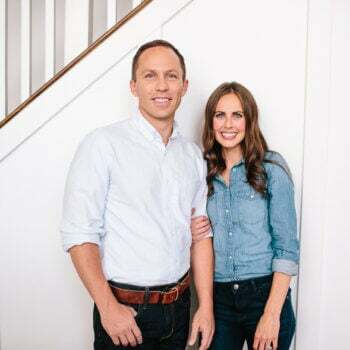 I debated and debated about making it again, and finally decided this, we have a great relationship with our readers, and we seem to all be in the same place, good people trying to raise good children and just do good things. Making another cheesecake would have required us to work instead of snuggling on the couch for a promised movie date, so please forgive us that the layers are not as clearly defined as they could be. However, take this as a good sign, even when I failed the recipe still turned out. It’s fail-proof. Which is awesome. It tasted delicious and I didn’t feel bad about it at all anymore. In fact, we snapped a few pictures and ate the rest with a pile of forks and no plates at all. I’d say it was still a success. Definitely a cookbook to buy. 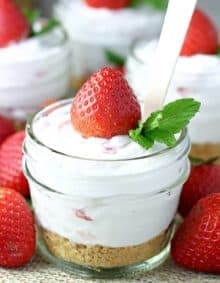 Can You Freeze No Bake Cheesecake? 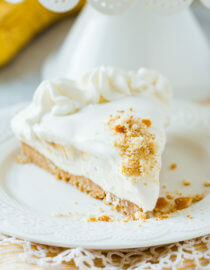 You can make any type of cheesecake in advance and store it in the freezer or freeze leftover pieces. Measure out all of the ingredients before starting the recipe so you can quickly go through the pudding without stopping. In a medium saucepan over medium heat, add the flour, salt and sugar and whisk to combine. Add the heavy cream and vanilla and whisk. Heat the mixture until the sugar is dissolved. Pour a little of the mixture into the yolks, while whisking vigorously. Now pour the egg mixture into the cream in the saucepan and heat while whisking until thickened. Make sure it’s thick like pudding before removing from the heat. Strain the pudding through a fine mesh sieve in order to get out any lumps. Place in a clean bowl and press plastic wrap down on it, then straight into the fridge for two hours. Prepare a 9 inch spring form pan by spraying it with nonstick spay and then wiping it smooth with a paper towel. Crush the vanilla wafers into fine crumbs like sand and melt the butter. Stir everything together and press into the prepared pan. Place the pan in the fridge while you prepare the rest of the recipe. Beat the cream cheese in a bowl, using an electric hand mixer until smooth and fluffy. Slowly add the sugar while mixing, scraping down the bowl as needed. Next, add in the whipping cream and vanilla. Pour over the crust and cover and refrigerate for 2 hours. Place a mixing bowl and whisk attachment for a stand or hand mixer in the fridge. Once chilled, beat the cream until soft peaks form. Add the powdered sugar and beat until the mixture turns to stiff peaks. Separate out 1 1/4 cups for the decoration. 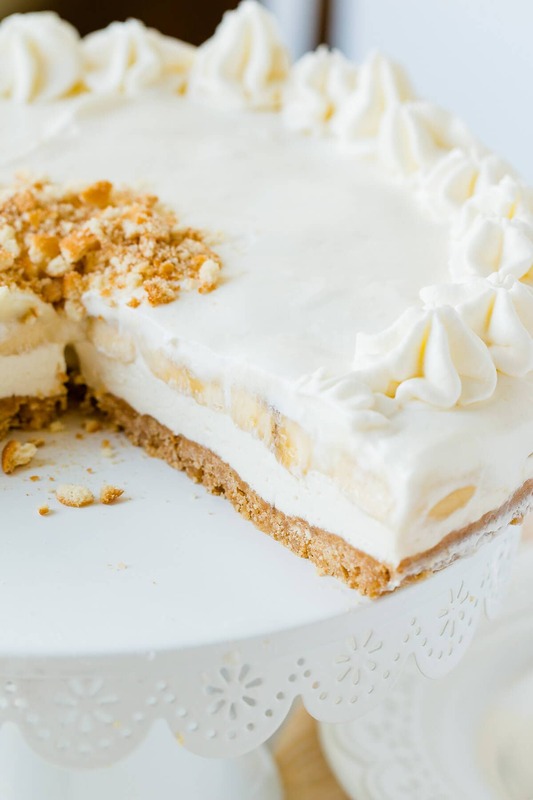 Place banana slices over the cheesecake and spread the pudding on top. Using a piping bag filled with the remaining 1 1/4 cups of whipped cream, decorate the outside edge. Remove from the fridge and sprinkle the cookie pieces on top. 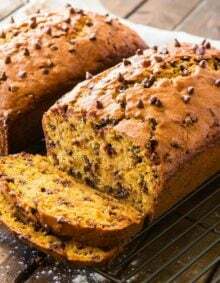 A sweet, crisp crust and creamy pudding are the perfect backdrop for those deliciously ripe bananas. 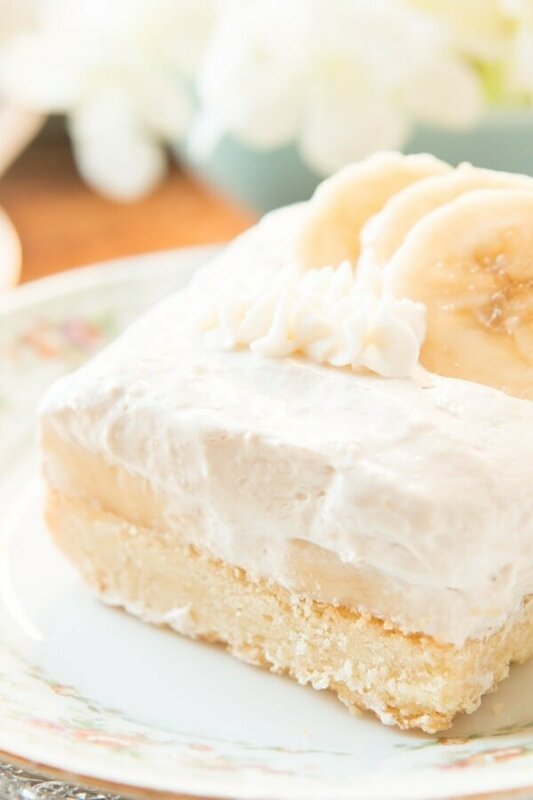 In the search for more yummy banana desserts? Try this homemade banana pudding! It’s such an amazing dessert!